Taking a ride on the biggest land animal on the planet, taking a selfie with the king of the jungle, having a cuddle with an Orangutan whilst he puts his hands around your neck, visiting a circus, having a laugh at dancing monkeys, watching dolphins and whales perform, drinking civet cat coffee, holding a beautiful sea turtle… These are things that are destroying the lives of animals all over the globe. Before going on any holiday, it is in our routine to research the things that we want to see and do. High up on many of the online forums and websites is to visit tourist attractions that involve the local animals (or sometimes not so local). Places such as Indonesia, Thailand, Sri Lanka and India are the hubs of animal exploitation for tourism. Sadly, it’s not only these countries that contribute to the demise of thousands of animals, this is happening all over the world. I hate to break it to you, but it’s also most likely occurring in the country you live in and at the attractions you’ve previously visited too. Before even considering to visit an animal attraction – especially in Asia – I strongly recommend doing your research. Visiting a so-called ‘sanctuary’ or ‘kingdom’ with beautiful, wild, non-domesticated animals for human interaction, is very likely to have extreme animal cruelty issues. These animals are not meant to be living in a cage, they are not meant to be ridden, they are not meant to be viewed in a tiny tank, and they are certainly not meant to be turned into a performing act. Go into their natural habitat and I can ensure you they are no way near as docile and obedient. So what do you think they go through to become that way? 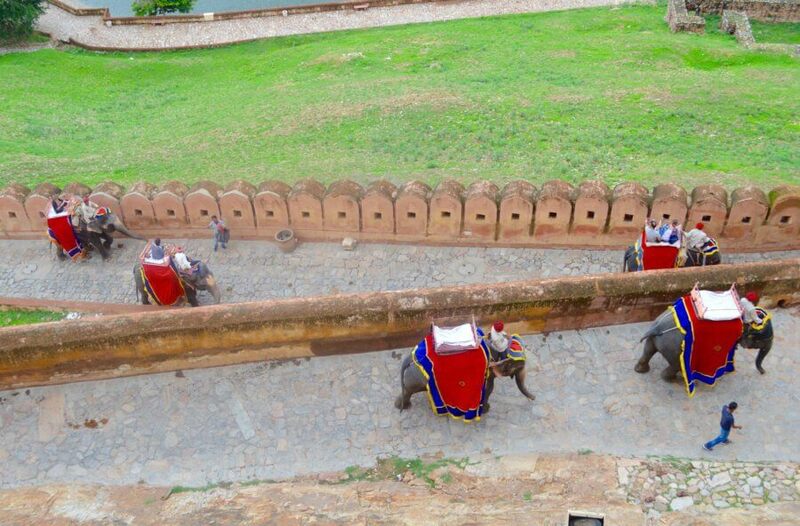 The thing we desire about riding an elephant is that they’re so incredibly big – almost 8 tonnes to be exact. The thought of riding the biggest land mammal on the planet is exciting to so many. What we choose to ignore is the horrific downside that comes along with it. It’s no longer exciting when you discover just how much these beautiful animals are exploited and abused. 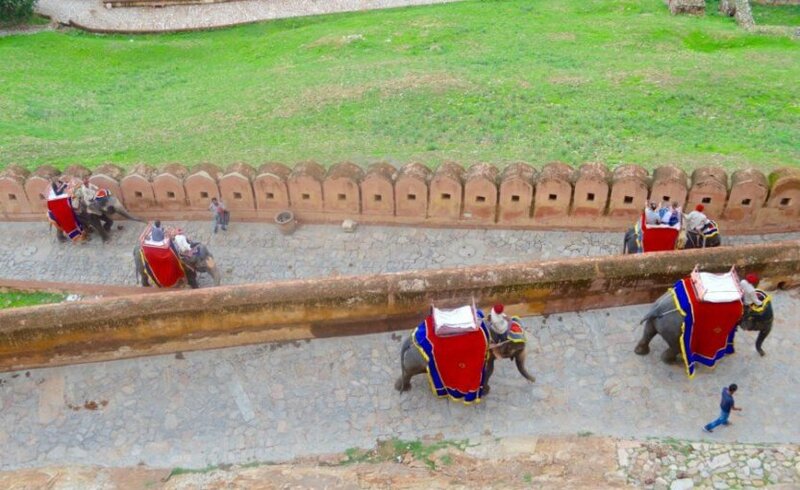 When in India and visiting the Amber Fort in Jaipur, I was faced with the sight of around 50 elephants being ridden forcefully, up and down the extremely steep path to enter the palace. Unfortunately, these elephants are not just encouraged to work; they’re continuously stabbed with a large pole and bull hook behind the ear in order to push them forward. Almost all elephants used for tourism are chained with spikes, shocked with electric prods, forced to trek for hours with no food or water, derived from their social interactions and are clearly miserable. In order to obtain these creatures, the mothers are often murdered and babies taken into captivity, tortured and abused into submission. When I looked in these elephant’s eyes, there was nothing. No emotion, no enthusiasm and seemingly no soul. 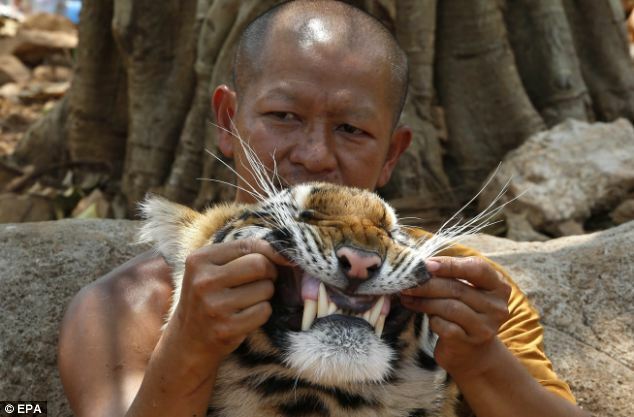 A huge attraction for visitors to Thailand is ‘Tiger Temple’. A place where you can get a ‘perfect’ photo with a beautiful tiger looking straight into the lens of your camera. This is an attraction that you definitely should not visit. Here’s something I want you to think about; if you wouldn’t want to take a selfie with a tiger in the wild, what do you think it has to endure for you to get close enough for a photo in captivity? They’re repeatedly punched in the face (a video that’s seen all over the internet), continuously attacked with sticks to get their attention, sprayed with urine to mimic the dominant act of tigers in the wild, pulled by their tails, and chained so close to the ground they are unable to stand up… All for the ‘perfect photo’ that we desire as tourists. They spend around 20 hours a day locked up in a concrete cage and are drugged to stay calm for the thousands of visitors. Does this sound like a suitable home to you? I don’t think so. It’s not only land animals that are exploited, but it’s also the beautiful creatures of our oceans too. Sea turtles are incredibly endangered, yet tourists are frequently encouraging ‘sanctuaries’ around the world to capture them for us to pick up an hold. What we don’t realise – myself included – is that these animals find being held extremely traumatic. 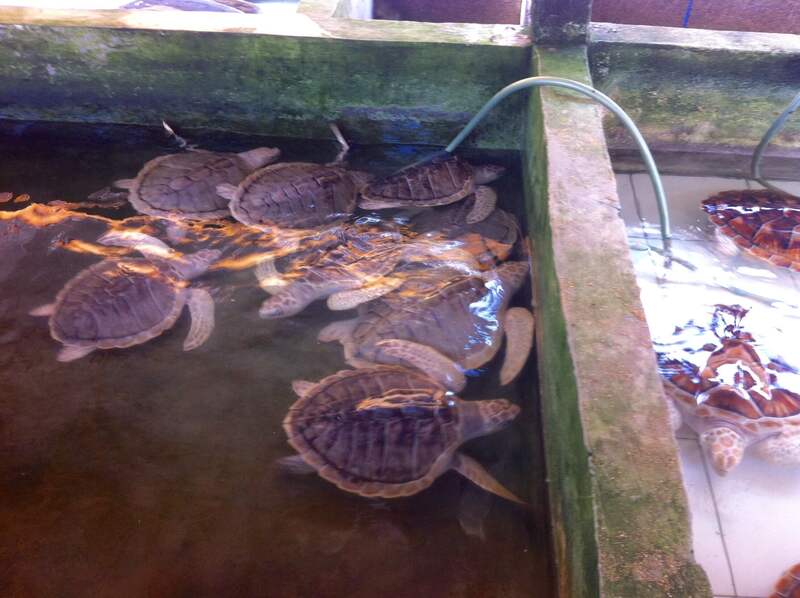 When picked up, a turtle endures an enormous amount of stress which can drastically affect their immune system. They suffer extreme panic which more often than not, leads them to be dropped and injured. Whereas in the ocean, an interaction with a human is very rare, which is exactly how it should be. If you really do stop and think about why we are visiting these attractions, it is purely so we can have an interaction with an animal that we would never have the chance to if in the wild. This is the real problem. We should be visiting the real sanctuaries that rescue these animals from their confinement. Visit the places that are saving animals; saving them from man’s destruction and looking after them the way that we should. In no way am I saying that every single animal attraction around the world is inhumane, I simply hope that one day travellers will make ethical decisions rather than the easily enjoyable ones. I certainly don’t think you’re a bad person for visiting these places because I have too. I simply encourage you to rethink before you do it again. Share the message so that we can spread awareness to the people that are uneducated on the matter. There are around 110 million people visiting these attractions around the world every year that are unaware of the major problem they’re potentially unwilling to contribute to. These tourist attractions are expanding their grounds, obtaining more animals, gaining more money and ruining more lives of our globes innocent creatures… All for us to get a somewhat likeable facebook photo. Start to think more critically. Yes, it would be amazing to kiss a sea turtle, swim with a dolphin, trek on an elephant or have a laugh at a performing monkey, but this is greed at its finest. You wouldn’t want your pets at home to go through these traumatic experiences for you, so let’s stop it happening to thousands of innocent animals around the world. It’s easy to think that you’re doing no harm by getting a photo with a creature that ‘seems to be healthy and happy’, but unfortunately you are. Animals in tourism is a part of a massive industry and a growing issue that really needs to be stopped. It’s time to be educated, ethical and cruelty-free! Removing them from your bucket list and replacing them with kind, ethical attractions really isn’t all that hard – Or in reality, just view them in the wild! Step away from tourist attractions and view these animals as they should be. View them in their natural environment and stop giving your money to the cruel world of animal exploitation. 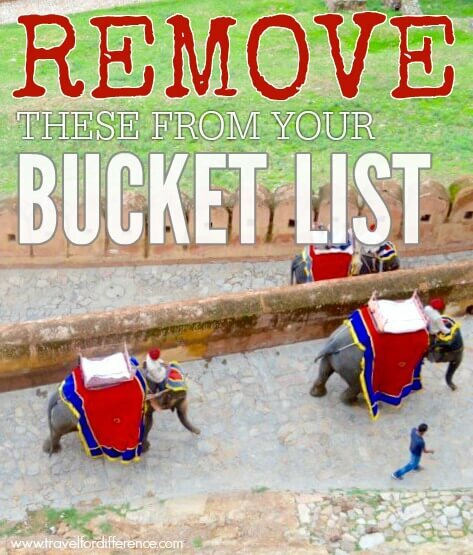 I agree, the only way to stop the cruelty to animals is by not engaging in these tourist attractions.